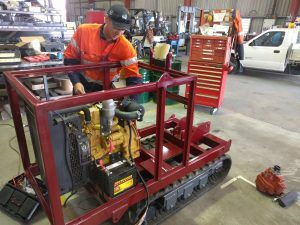 Drilltechniques, a proud Australian family company, will feature its range of custom built drilling and ancillary equipment at Drill 2017. In recent years, Drilltechniques has forged a reputation for designing and building specialised hydraulic/electronic equipment applications to meet very specific customer needs. On display will be examples of Drilltechniques designed and manufactured rotary heads as well as a track-base used to mount a variety of drilling rig configurations. In the outdoor display area, attendees will have the opportunity to view one of Drilltechniques vehicle mounted rigs, designed for use in the geotechnical field of drilling. Drilltechniques continues to design and build equipment that is safer and more advanced. An example of this is our range of radio remote controlled grouting and mixing plants that when coupled to a remote-controlled drilling rig, both can be operated by a single individual with no manual handling, the operator is removed from the direct location of the drilling and grouting and advanced plc and electronic recording equipment creates accurate recording of grouting parameters that can be downloaded and printed for client reference. In addition to the featured Drilltechniques equipment, information detailing the full range of Comacchio geotechnical drilling equipment will also be available. Comacchio continues to increase in popularity in Australia, their blend of style, practicality and build quality has seen more than 100 of the Italian machines make it to our shores since Drilltechniques assumed dealership of the brand in 2009. 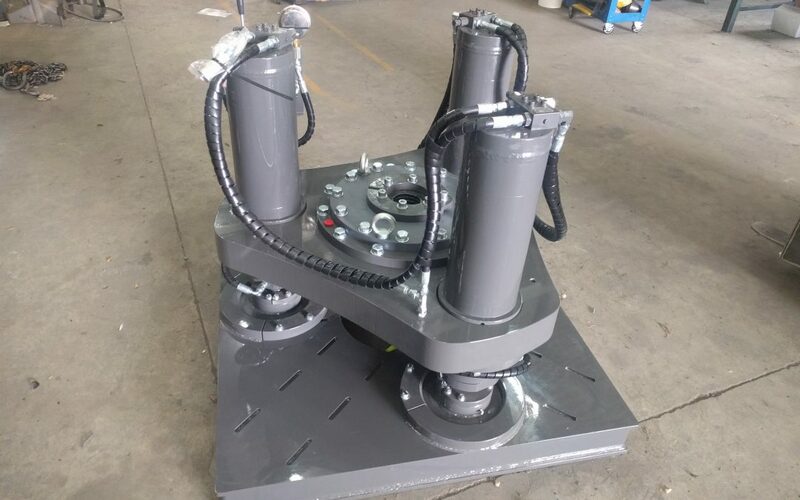 In the nearly 10 years that Drilltechniques has worked with Comacchio as a dealer, we have collaborated on the design of many machines ensuring that they are well adapted to Australian conditions and drilling methods. Drilltechniques has also partnered with Toa Tone Boring company in Japan and Sonic Drill Corporation in Canada to offer a wide range of Sonic drilling equipment to the market, often configured next to a conventional rotary on a suitable Comacchio carrier vehicle.